Located just 45 minutes from downtown Phoenix, Surprise, AZ, offers homebuyers a charming mix of shopping, dining, arts and culture—not to mention abundant recreational opportunities. Those relocating to the area will quickly discover why so many families are choosing to call Arizona’s 10th largest city home. Surrounded by a regional lake, majestic mountains and, of course, the dramatic Sonoran desert, Surprise is a wonderful place to live, work and play—offering those fortunate enough to reside there the ultimate Arizona lifestyle. From city-sponsored concerts at “Second Sundays in the Park” and moving performances by the West Valley Symphony and West Valley Conservatory of Ballet, there is no shortage of things to do in this vibrant city. MLB Spring Training. Both the Texas Rangers and Kansas City Royals train at Surprise Stadium in the off months! Surprise Tennis & Racquet Complex. With 25 courts (17 of which are lighted for night matches! ), it’s the largest structure of its kind in the southwest. Seven golf courses. And that’s just the greens located near and within the city limits! The state boasts over 300 courses, many of which are just a short drive away. Surprise Aquatic Center. We’re talking a competition pool, a vortex whirlpool, two slides, water play areas for the kids and more! White Tank Mountain Regional Park. A nature center, trails, picnic areas and campgrounds are waiting at this nearby park, which comprises nearly 30,000 acres. 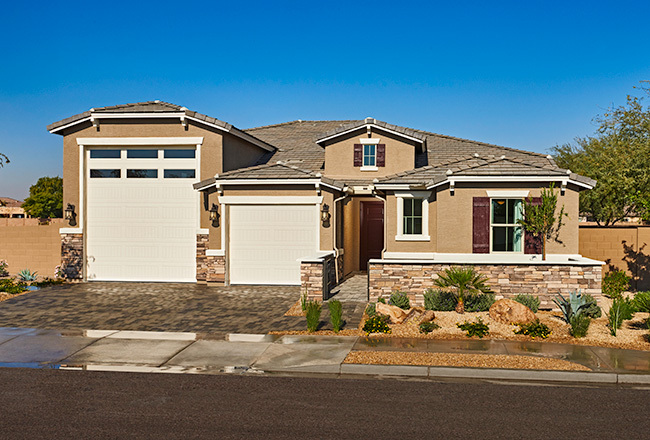 Ready to start your home search in Surprise, AZ? 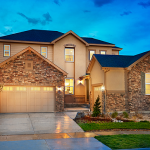 Check out Desert Oasis, offering inspired ranch and two-story homes with hundreds of exciting options, including RV garages, from the mid $200s.